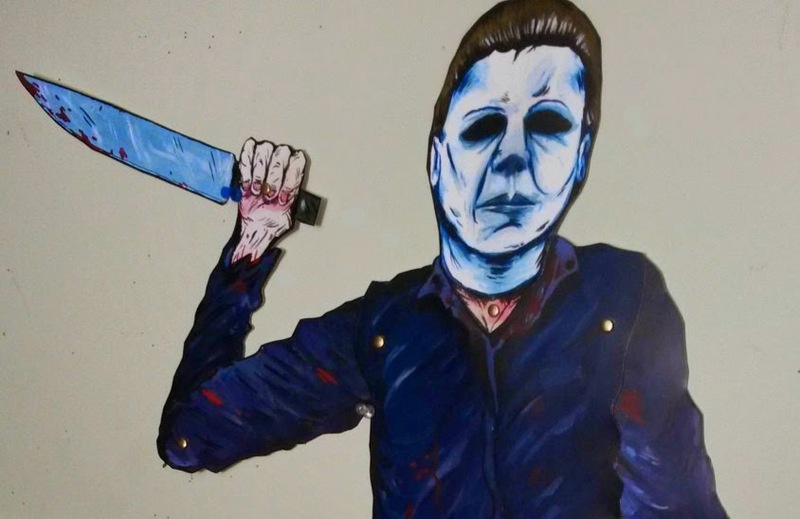 Artist Trevor Henderson has released his own new Halloween decorations he calls Horror Hangers, styled after the classic cardboard jointed wall hanger skelingtons, featuring many of your favorite modern horror movie icons, including the Boogeyman himself, Michael Myers. 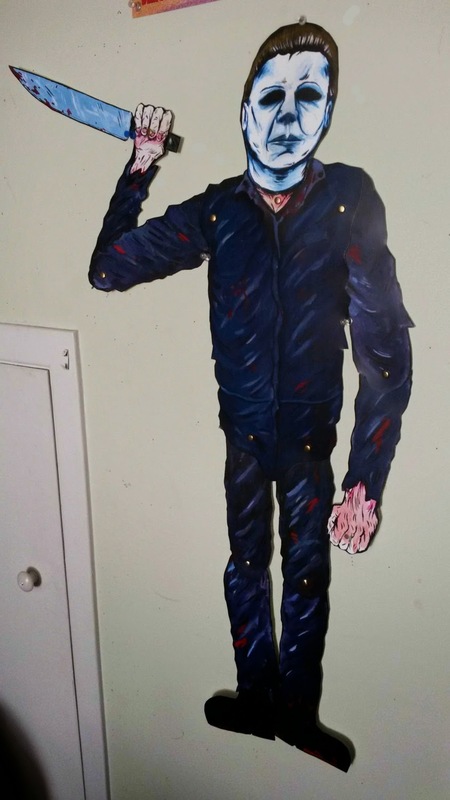 The decoration is roughly 25 inches tall when stretched out and is printed on 100-pound glossy card stock, connected with brass fasteners, and packaged in a clear plastic bag with paper header. You can order yours, and see what else Henderson has to offer at his Etsy here.